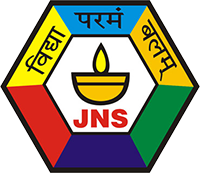 The Counsellors of Jamnabai Narsee School & Jamnabai Narsee International School have been working towards the emotional and mental well – being of the student and parent body of the school for over a decade and continues to render their services. However, at present there is a growing need for such services given the levels of stress and the impact of the same on individual, couples and family mental health. Keeping this in mind, the Narsee Monjee Center for Excellence (NMCE) is offering Counselling Services by these trained professionals with the aim of reaching out to anyone who wants to be heard. You may choose from a list of professionals who are available by appointment on various days of the week. Appointments may be booked in slots of minimum 3 sessions, which must be completed within a month from the first appointment. This is essential, as therapy is a two way commitment on the part of both the one receiving it and the Counsellor. All professionals listed below are well trained and proficient in their respective areas which include, behavioural and relational concerns, anxiety, depression, marital issues, grief, trauma and violence. Treatment modalities and interventions include a wide variety of approaches, tailored to specific concerns. Each professional comes with their own set of qualifications and a wealth of experience. Appointments may be booked by following the link given below in slots of 3 sessions, against a payment of Rupees 5000/-. Cancellations may be made 24 hours prior to the appointment and another appointment can be scheduled at a later date. However, all appointments must be completed within a month from the first appointment. The amount is not refundable once the slot is booked. Cyril George M.A. (English); M.Sc. (Counseling Psychology); B.Ed. is a practicing Counseling Psychologist and ISC faculty in Jamnabai Narsee School. He has been working with the individuals, groups, couples and families for last 25 years. His area of work includes group animation, awareness programs, individual & couple counselling and group therapy. His expertise is working with adolescents, couples, families in the areas of Behavioural concerns (anxiety, concentration, depression, self-esteem, aggression issues, suicidal tendencies and anger management); Relationship issues (Pre-marital and Marital), Crises management, Social skills, Parenting Issues, Learning disabilities and Remedial education through eclectic approach. Ms Desiré Dias is a Counselling Psychologist from the University Department of Applied Psychology – University of Mumbai and has been in the field of counselling for the past 12 years. She also has a Post Graduate Diploma from the Xavier’s Institute of Counselling Psychology, Mumbai. She is experienced in working with children, adolescents, couples and families. In her decade spent at Jamnabai Narsee School as a Student Counsellor, she has worked successfully with many parents and children and helped them navigate through their concerns. Sarah Ahmed is a Master in Clinical Psychology from S.N.D.T University. She’s working in the field since 6 years with various age groups - children, adolescents and adults for diagnostics and therapy, and deals with issues like depression, anxiety, interpersonal relationships, learning disability, ineffectual parenting, anger/stress management, marital discord, mental disorders, emotional and behavioural difficulties. She uses an eclectic approach for holistic outcomes and incorporates several techniques like CBT, Play/Art/Family Therapy, crisis intervention, etc., which are altered to individual needs for their effectiveness. Her mission is helping clients lead a happier and peaceful life. The therapeutic relationship will only begin once the informed consent has been signed by the client/parent. Following any advice given by the Counsellor is solely at the discretion of the adult. We assure you of the best possible efforts from our Counselors should you choose to avail of our services, providing you with necessary interventions. Our Counsellors strictly do not dispense of any medication during the course of Counselling. However, should the need arise, an appropriate Psychiatrist may be recommended. Opting for medication is solely at your discretion as we take no responsibility for the quality or effectiveness of the medication dispensed by the doctor.